Aquilla dress, little black dress, Eco fabric. Aquilla dress is just perfect and timeless. Made of quality Eco knit, the bottom is double layered and feel's like a glove. + MADE TO ORDER, allow me 1 to 2 weeks to produce it. + Bottom of dress is double layer, like it Hugs you!! + Sheer panel at neck and sleeves. + Gentle machine wash. Wash seperately. + If you hand wash, do not let the garment in the water too long, wash cold with gentle soap. If your size is different, please sends us in box your measurement and we can cut one FOR YOU! 15$ extra will be charge but you'll get yours! + This item is made to order, hand sewn and shipped directly to you! + Production time takes between 1 to 2 weeks. + Shiping in 2-3 days in Canada Xpress post. + Shiping in 4-8 days in USA Xpress post. + Shiping includes insurance, tracking number for this item. + Items are shipped trough Xpress Post. + Shipping is fully insured and will included a tracking number for CANADA & USA. + I gladly accept exchanges or store credit. + Returned items must not have been worn or have any signs of wear and all labels on. + Refunds are offered on all damaged or lost merchandise. + All packages are shipped insured. If your package has arrived with a damaged item please take a photo of the damaged item AND the damaged packaging and send it to us - this is needed to make an insurance claim. You can ask me for Custom and personalized order. If you see a style you like but would like to change a detail, lenght, or have a compleat custom made, Please send me a message with the most details, sizing and ill get back to you. There will be an extra charge and it all depends on your request. 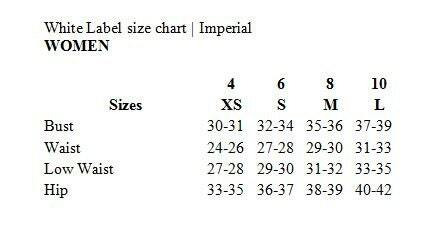 If you need other size that are offered, please let me know your mensuration and i'll cut and sew just for you. See the section ''how to measure''. An extra fee's of 15$ will be asked, but you'll get what you want.